Shipwreck Island is a fascinating treasure hunting mystery that takes readers on a deep water search for a lost ship. What were some driving ideals behind this novel? I’ve been wanting to write this book for about eight to ten years. When I was younger I traveled to New Zealand and heard about this fabled shipwreck. I was always intrigued about the circumstances around its mysterious disappearance and why after a 150 years no one could find a trace of it. The story always stayed with me and I knew I just had to write about it. Roy is a salvage and shipwreck expert and helps setup some interesting information throughout the book. What kind of research did you undertake on shipwreck salvage to get things right in this book? I really didn’t research much for this part on top of what I already knew. I’d read numerous newspaper articles and studied about the latest sonar technology, but that was about the extent of it. As always, I tried to create a relatable hero that all readers could root for and enjoy following. The book includes a map that showed areas of different shipwrecks, which I found helpful. How much did you rely on history to tell this story, and where did you take liberties to make an interesting story? Well the map is indeed accurate and shows real shipwrecks. Although the book is fiction, I tried to base everything on real historical facts about the island itself and the prior shipwrecks. The only thing I took liberty on was the location of the treasure, the action scenes, and the characters backgrounds. How far have you gotten on your latest book, Treasure Fever, and how is it developing so far? With every book I write, I always try to outdo my last and set the bar high. This one is no different. I did a lot of research prior to starting it and so far I think it’s turning out to be the best one yet! I’m only on page 40 but the plot is coming along faster than expected and even surprising me at times. This one will have plenty of action so it won’t be for the feint of heart. Can’t wait to finish it soon and get it out to the faithful readers! Thank you Literary Titan for this interview. In the year 1866 a ship named the General Grant lost course on its epic voyage to London and crashed upon a subantarctic island off the coast of New Zealand. Legend has it that its cargo contained one of the richest in history–gold all mined from the Victorian goldfields in Australia. After years of mishap and misfortune–even death–no one has been able to locate its exact whereabouts. In comes Roy Berenger, one of the world’s foremost experts on salvaging shipwrecks. Recruited to solve the mystery once and for all, he must use all his trademark talents and wits to uncover the historic shipwreck. The strange circumstances around its harrowing disappearance are mysterious and all-too frightening. Putting together a local crew with the latest technological resources at his disposal, Berenger ventures to this far-off island to pull off an audacious search attempt. But in order to find it–he must brave the real-life perils of hypothermia, great white sharks, high-sea squalls, and human treachery. 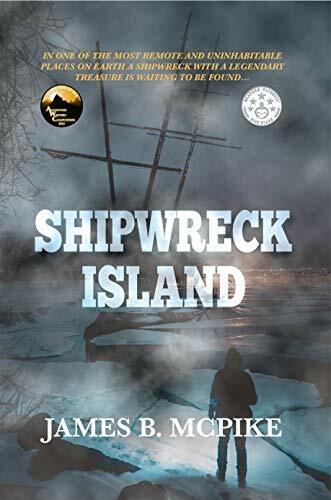 Shipwreck Island by James B. McPike is an adventure story with mystery and intrigue. Roy Berenger, an expert in salvage operations of shipwrecks, is approached by the great-great-granddaughter of one of the survivors of the wreck of the General Grant, a ship that was carrying a group of miners and the riches they’d unearthed in Australia. But the General Grant drifted off course, crashed into the cliffs on Auckland Island, and sank. Natalie Claiborne needs Berenger’s help to locate the lost ship and it’s treasure. 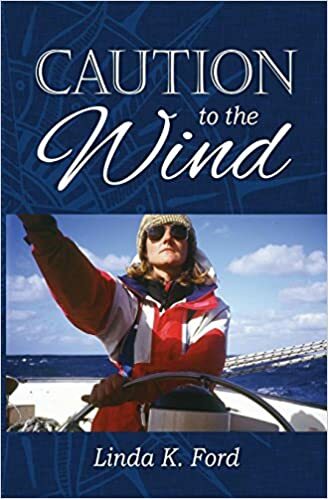 Natalie’s ancestor, Winston Claiborne had kept a diary that described the event and the conditions the survivors endure while stranded on a bleak island, as they waited eighteen months for rescue. The diary also included a crude map of the island with an ‘X’ mark in the middle. Most of the survivors perished, and the shipwreck had never been found. There are tales of the island being cursed. Berenger’s instincts tell him from the start that he shouldn’t get involved with this particular shipwreck, but… he can’t resist the lure of adventure. Lots of treasure hunters have tried to find the ship, and many have died in the search. Can Berenger and Natalie succeed where so many others have failed? The story begins with a prologue set in 1866 when the ship’s crew faced imminent disaster off the coast of New Zealand, which drew me into the story. People have been searching for the treasure for one hundred and fifty years since then, and I enjoyed reading the section about previous treasure hunters looking for the wreck, starting in 1868 and followed by numerous other expeditions in the intervening years. I liked the inclusion of this history, which gave additional depth to the story. It was interesting to read about the different technologies used in underwater salvage to locate shipwrecks, but when the equipment malfunctions and a series of other strange occurrences happen on the island the search proves dangerous and deadly. Someone doesn’t want them to find General Grant’s treasure and sabotages their efforts. I felt that some of the villain’s actions were contrary to their motives. The villain wanted to use other people to locate the treasure for their own personal gain, but then tried to kill those people before they had a chance to solve the mystery of the missing ship. I would have used a bit more clarification on the characters motives to really flesh out, what I think are, intriguing characters. There were a few issues with awkward sentence structure and repetition in this book as the same things were expressed more than once using different phrasing. This distracted from the flow of the story. And I felt that the chapter when Roy goes to dinner upon his arrival in Auckland doesn’t really add anything to the story and could have been eliminated. I liked that the book included a map that showed the area of the different shipwrecks and their location in relation to each other. This allowed me to better visualize the setting of the story, which I found helpful. Overall, I found this to be an entertaining story that puts compelling characters in perilous situations set in exotic locations. Mattie Blanc believes from an early age that her past will forever haunt her and will be the ultimate cause for her life alone leaving her starved for true love. Charlie Kincaid, on the other hand, has true love chasing him across the world, but his is a one-way relationship in which he is not a willing participant. Both Mattie and Charlie have pasts that haunt them and have overcome almost insurmountable odds to become successful and proud in their fields; Mattie has received an education and is employed by a hair salon, and Charlie is a diver in the United States Navy. The one thing missing from their lives is each other. 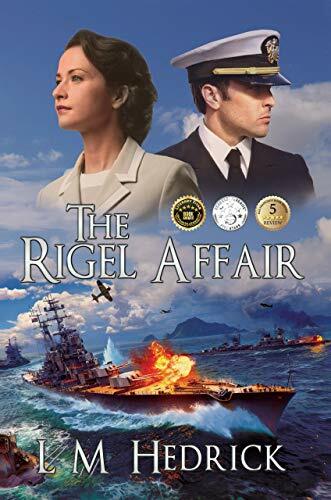 Inspired by events in the life of the author’s own family, The Rigel Affair by L.M. Hedrick, traces the lives of Mattie and Charlie as they grow up in very different corners of the Earth to their eventual chance meeting as adults in Auckland, New Zealand. Once the two meet, their lives are never the same, and Hedrick makes clear from their first outing together that the two are destined to be together. This primarily historical fiction book is laced with romance and a bit of intrigue–just enough to appeal to multiple groups of readers. Not knowing how much the character of Roxy is based on real events, I can only say that if her portion of the story is true, it is indeed fantastic. To believe that Charlie and Roxy, a childhood friend who practically mourns for Charlie’s love, could so easily run across him in the 1940’s without the convenience of modern day technology is little far-fetched. Happening across Roxy in two very different parts of the world years apart is a bit of a stretch. If it is indeed part of the truth of Hedrick’s story, it’s fascinating and makes the tale that much more rich. Perhaps the most interesting aspect, and one of the most well-integrated in the story, is the portion about Mrs. Frisken. Though her truth is never fully revealed, Hedrick successfully gives readers cause for pause and inspires some rereading of text. (I love when an author makes me second guess my own opinions of a character and his/her intentions.) I have to say that I didn’t foresee the ending regarding Mrs. Frisken happening in quite the way it did. Though sad, it was a wonderful addition to Mattie’s story-line. Hedrick has written a book that requires patience on the part of the reader. I desperately wanted Mattie to get the gumption to go against her overbearing father. Her inability to make a decision without her parents’ input frustrated me. In addition, readers may find it difficult to watch as Mattie and Charlie’s letters pass each other in delivery without making it to one another causing much heartache for the two as they are pulled further and further apart. Hedrick is handing readers a perfect blend of historical fiction and romance. The text itself is heavily laden with historical truths and gives fans of both genres something to appreciate and remember. There is a warm feeling that embraces you the moment you land on the first page. The author narrates her stories in a manner that makes the reader feel like they belong. Her wording is amazing and she used the most appropriate phrases in her explanations. The book starts with the writer sharing her childhood story of being born in England. Being the ninth child of a family of ten children, she knew early that she had to be aware of self as she was born into her crowd. She goes on to talk about her life; her family emigrated to Australia then to New Zealand. She also talks about getting children in her early twenties, selling her home, buying a yacht and sailing from New Zealand to England. The writer talks about being distressed, going through emotional agony, feeling guilty, going through betrayal and experiencing grief. It was not easy for her. Even with the trauma that Linda K. Ford went through, she was able to emerge strong in the end. I admire her attitude and perspective on life. There is a lot of wise words she shared throughout the book. On inaccuracies of thoughts, the author discusses how we respond to the situations we are faced with on a daily basis. The author says that each one of us has the potential to experience happiness. We all can be cheerful at all times. Life is supposed to be joyful. Our past sometimes restricts us from experiencing infinite joy. I loved that in between the lines, the author posed questions for the reader to ponder over. Trauma is never a good thing. A troubling past can haunt you for years, making you feel like life is not worth it. The author also mentioned that the stronger one is emotional, the deeper they are bound to sink. How unfortunate that must be. Her style of giving real-life example when explaining a topic is what made me enjoy this book. One of my favorite parts of the book was the chapter where she explained mental versus physical tiredness. Both are draining and can break a person. At the end of it all, the author assured the reader that there is still some hope. Don’t sit and be depressed about things that you can’t change. Life may not be a walk in the park, but there are instances and people who make our life in this universe worthwhile. When you get emotional, look for things that work for you. Talk to people who care, read a book, watch your favorite TV show, engage in a simple physical exercise; don’t just sit with a dark cloud hovering around you. 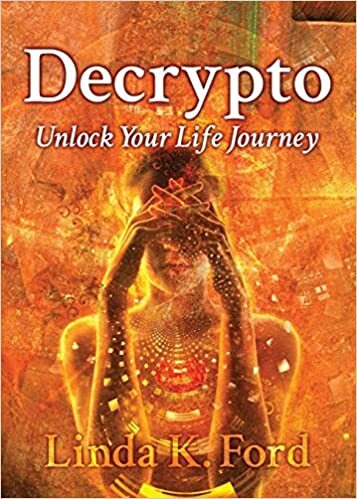 Decrypto: Unlock Your Life Journey is a book everyone who is on a quest to discover self should read. The words shared are a gem. The author enables the reader to have some hope even when things don’t go as planned. On May 5th, 1994, at 9.30 am on a chilly, sunlit day, Ebony, a 36ft Roberts Spray, left the safety of Lyttelton Harbour in New Zealand, to venture into the unknown, where nothing would be predictable. The voyage plan was to follow the famous trade wind route, sailing from New Zealand to England. All too soon, they found themselves battling their way to Sydney, Australia. Caught in a ruthless storm with no contact with the outside world, they were truly alone. All the romantic notions of the ultimate cruising life disappeared into oblivion. Step aboard Ebony and take an adventure, an epic 15-month voyage. Experience this day-to-day passionate tale, packed with intrigue, and at times suspense. Experience the delights of the lands visited and learn more about the world of international sailing. This was a life-changing adventure, with a dramatic, unexpected, ending. Burned in Stone continues the story of three archaeologists as they now set out to find the Ark of the Covenant. Where did you want to take this book that was different from The Lost Photographs and what were some things you felt had to stay the same. The original characters remained the same, and Stephanie was added. I worried about having my story enter the realm of science fiction in the sign from God, but I have learned that many of my readers believe we would have a much better world to live in if it really happened. I chose Ann Tyler to be the one who died instead of my new character, Stephanie. That was a shock and very sad. I was hoping it would be a story my readers would not quickly forget. I am still not sure I made the best choice. Matt found how deeply he loved her. That may be too much for Stephanie to overcome. Stephanie’s tragic childhood and her unfortunate upbringing make for fascinating reading. What traits were important for you to develop and explore in her character? I wanted to bring out the vulnerability of a child and the emotional devastation caused by abuse and lack of love as depicted by Stephanie’s childhood and early years. However, she “pulled herself up by the boot straps” and discovers love is not selfish but is caring about others. She develops a successful career and does not use her childhood trials as a crutch to flounder in pity. I enjoy how you explore ancient artifacts and ruins to bring new life to old stories. Did you always have an interest in archaeology or is this an idea developed just for your novels? From an early age, I have been fascinated by bible stories and archaeological finds. After retirement I was able to travel extensively visiting many countries and ruins–Africa, Israel, Egypt, Saudi Arabia, Jordan, Thailand, Mexico, Australia, New Zealand, many countries of the Far East to name a few. I try to incorporate the sights, sounds, and smells of those many places into my stories to enhance the importance of exploring the past and its influence on the future. Do you plan to continue Matt, Ann, and Jim characters in other novels, possibly a series? If so, what will the next book be about? I plan to continue with most of the same characters. Unfortunately, one of my favorite characters, Ann Tyler, was brutally murdered in Burned in Stone, but Matt, Jim, and Stephanie still need to pursue at least one more biblical artifact. My wife and I love to travel to places we have not yet seen in the world. I believe we will take a few trips and as we travel I will be putting my pen back to the paper. 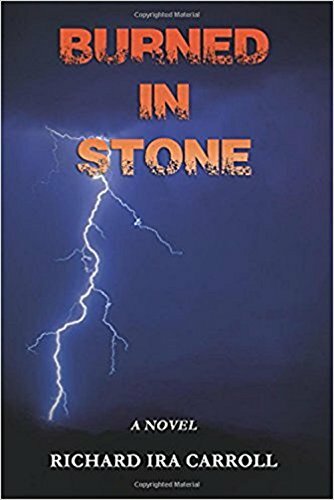 BURNED IN STONE A Novel by Richard Ira Carroll You won’t be able to put down “Burned in Stone”, a page-turning adventure with twists and turns that keeps you guessing at what happens next. You’ll have to stay up an extra hour. You’ll want to see how they get out of this one. Steam was shooting out everywhere from the ancient ore-hauling steam engine. If I give it full throttle now, would it go around the curve too fast and tip over? I had no choice. It was now or never! “Burned in Stone” is a novel of epic proportions, a story the reader will not easily forget. A thoroughly researched and well-written prologue sets the stage for this slam-bang novel. Dr. Mathew Lane, Ann Tyler, and Jim Morgan, the three archaeologists who discovered Noah’s Ark on Mount Ararat, are on another dangerous undertaking as they search for the crown jewel of biblical artifacts, the real Ark of the Covenant! Love, jealousy and heart-wrenching tragedy enter the story when Stephanie, a stunning beauty who possesses an ancient parchment map, agrees to join them in the search. Every area our adventurers search reveals another clue leading to another place or another country. This fast-paced journey takes them from Thailand, to the depths of the Mediterranean Sea, to Jerusalem and finally to Mount Sinai in Egypt. Here they discover something so totally unbelievable. . . something so phenomenal. . . it will have a profound effect on every man, woman, and child on the face of the earth! “Burned in Stone” is the sequel to an equally exciting novel, “The Lost Photographs”, also available at your favorite book store. The Masked Queens Lament finds Althea still trying to expand her empire from the shadows but is forced to come out of hiding to ensure victory. What did you want to accomplish in this last novel that was different from the first two books in the trilogy? Beyond wrapping up every plotline I had hatched in a manner that I felt the characters deserved, I had a few other things to address. One was to sufficiently show how awful war is even when necessary–a point I’m not sure I drove home thoroughly enough in the previous book of the series. Another was to show human stories from every part of the world that I wanted to focus on, because Alathea’s empire is definitely not a realm of pure evil, and she’s not leading some horde of orcs or goblins. Nor was I going to allow Derek and Chandra to be completely responsible for saving everyone when some people have the opportunity to choose, albeit not easily nor simply, to decide differently. I also enjoyed giving text time to characters who may have been barely used in the previous books or whose motivations had not been adequately explored. The world building in this novel continues to be superb. What were some sources of inspiration that guided you as you continued to build the world throughout the trilogy? I’ve done a bit of travel in my life, visiting some of Europe/the UK’s castles and memorably the church structures of Lalibela, Ethiopia, carved directly from the rock with minimal brick and repairs needed after centuries of wear and some seismic activity. I follow aesthetic blogs and also try to learn a bit about the cultures that inspired aesthetics and also first names. The rest is having the map drawn up and trying to define each place in the context of the geography I’ve already given it. I once also got some advice about the realities of having a mountain range rather close to a coastline, as it looks in the southwest of Kensrik. If you’d like to know what I mean, consider the geography of places like Chile or New Zealand. I was inspired to make this mountainous edge of the continent seismically active and mentioned “mountains which belch fire”, the possibility of it raining ash, and the potential sulfurous odor. When a trilogy comes to an end many readers expect an epic showdown, and you deliver on this point masterfully. How did you envision the final chapters playing out and what changed while writing? The main challenge was not what the final showdowns would be, because I set most of them up in the previous books and just needed to follow through. A key challenge for me was making sure the last conflict with Derek against enemy forces was not just a repeat of the end of the previous book. In the first draft, it basically was the same, in the shadows of the old Wancyek castle, but once more with feeling! 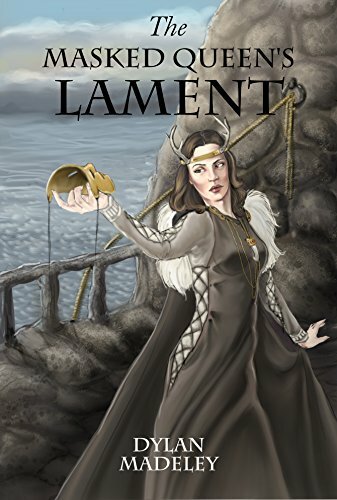 During the second-last revision cycle of The Masked Queen’s Lament, the further I went along in the draft, the more completely I rewrote what was there. By the penultimate chapters I was barely looking at the source material because of how wildly the final draft needed to diverge. Keeping in mind, the whole trilogy was written in first draft before the first book in the series was even finalized. I also needed to propagate every change that needed to come as a result of that. It just had to feel coherent to me, and I’m glad the coherent result worked. Now that the The Gift-Knight Trilogy is complete, do you intend to expand this world with more books, or are you working on something new? I have four total prequel manuscripts that don’t focus on Derek or Chandra, or even mention them. I could go and start reworking these, or I could write something completely different. For now, I’m enjoying the lack of commitment that comes from not having already promised what comes next! I’ll decide eventually. Derek, Master and defender of his people, rides with Chandra toward a friendly city in the aftermath of a victory. They will have no time to celebrate as Derek suddenly finds himself up against a foe he can’t kill with a sword. Having delivered her friend and ally to a healer, Chandra contends with more than just waiting in dread: she will be faced with a part of her personal history that she never knew and the promise of a place to belong after her exile from Kensrik. But can she trust it? And they will have so little time to regroup. Alathea, masked ruler of an expanding empire, still hungers to recreate the world in her image. Dissatisfied with the delays and failures of her minions, she intends to personally oversee the final victory over her most hated foe, the “witch”, Crown Princess Chandra Kenderley. Whether they battle enemies from without or within, an ensemble cast faces the fight of their lives on every part of the Continent and its inland sea. No one but Alathea has the full picture of what she’s set in motion, and whether they have any chance of stopping her, nothing will ever be the same. She and her partner answered the call of the sea. They wanted to heed to the breeze and sway to the wind. Such was the image of what would be expected of the sojourn. The reality was different. Marred with seasickness, a faulty water trap, uncooperative winds, and even loss of a crew member, Lin and Geoff were in for the ride of their lives. So many hurdles thrown into their plans and expectations. Frequently doubting their plans. Getting on each other’s nerves at some point. This is an outline of the journey from New Zealand to England. With an unexpected end, this story is one of a kind. In Caution to the Wind the author does not leave even the bad parts untold. If you are going to tell a story, tell the whole of it. That is what Linda Ford has done. She has given the reader an inside view into her adventure. Her passion for the sea is evident in her narration. However, she does not let her expertise boggle the reader’s mind. She tells her story in simple language. Even providing a glossary in the back which will come in handy because this book is immersive. Linda has quite the writing skill. Her descriptions are vivid which is perfect for the many picturesque scenes that this story sails into. The book is fairly short and can be read in one siting. From the first page, I was taken with Lin and Geoff, and did not want to put the story down until the end. The author clearly knows how to capture the readers attention. You know when you walk up to a group of people having a conversation and it takes you a little while to catch up? That is the feeling one might experience in the beginning. The first chapter sort of starts in the middle. It feels like there should have been something before that first chapter. However, you will catch on quickly to the flow of the story. The chapters are really short and lends to the idea that this is more of a journal with the chapters being akin to journal entries of sorts, but I was left wanting a bit more structure to allow me to be immersed in this fantastic story even further. Some talk about bravery. Others talk about going for it. This story is inspiring in it’s ability to unveil a story that captures both of these things. I mean if Lin and Geoff can stand against treacherous weather at sea for months with overlapping disappointments, surely no goal is too ambitious. This book will have you on the edge of your seat then it will have you off that seat going after whatever that goal is that you set aside. The story is one big adventurous metaphor for the way to live life.